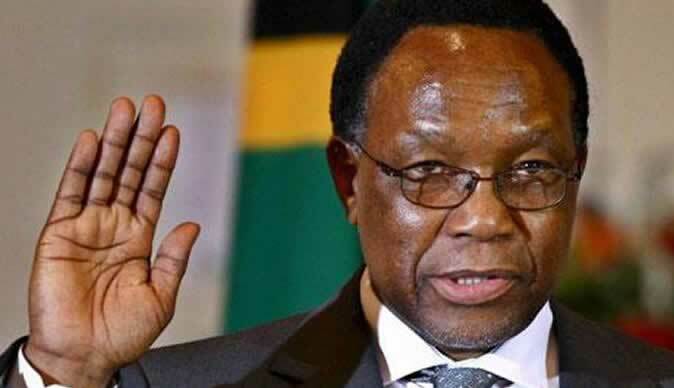 The Kgalema Motlanthe led Commission of Inquiry reportedly threw away 95% of the testimonies from MDC President Nelson Chamisa and Deputy National Chairman Tendai and considered the content as simply grandstanding, it has been revealed. "After report was presented to Mnangagwa, a Zanu PF linked Commissioner said they took only 5% of testimony from Tendai Biti and Nelson Chamisa and spurned the rest as grandstanding. Worse, they regret 1 Aug killings yet condone illegal Army deployment as worse could have occurred." Professor Jonathan Moyo has revealed. Moyo further blasted the commission as a kangaroo court that cannot be compared to its counterpart in South Africa, the Zondo commission that is investigating the State capture. "A tale of two commissions both sides of the Limpopo; each chaired by respected South Africans. Down South, the Zondo Commission and up North, the Motlanthe Commission. The former is judicial and serious while the latter was a kangaroo court that ended Tuesday and produced its report Wednesday." The Commission of Inquiry into the post-election violence of August 1 that claimed six lives in Harare and left 22 injured on Thursday submitted the executive summary of its report to President Emmerson Mnangagwa, two days after wrapping up public hearings, with the complete document expected to be released on Saturday. "Today, the commission presented to the President what we call an executive summary, while the complete report will be presented this Saturday," Masuku said. "In short, what I am saying is that, yes, the report is complete, but we have sent it to government printers for printing and binding, and it shall be presented to the President and public this Saturday."